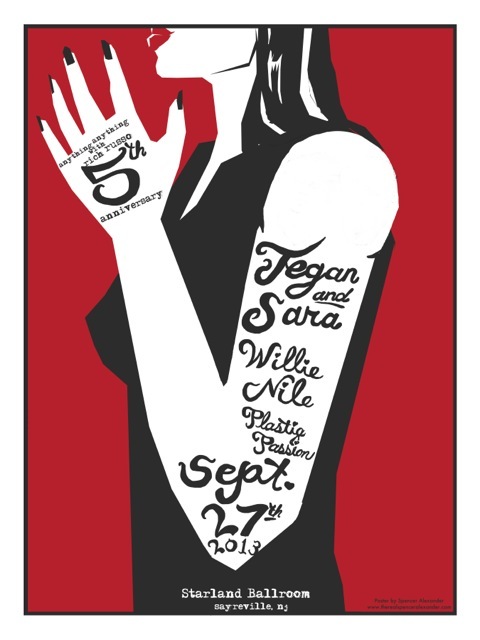 TEGAN AND SARA ANNIVERSARY PARTY POSTER PRESALE – Rich Russo - The King of Free Form Radio. Posted on Sep 18, 2013 by Rich — News — Add your take! 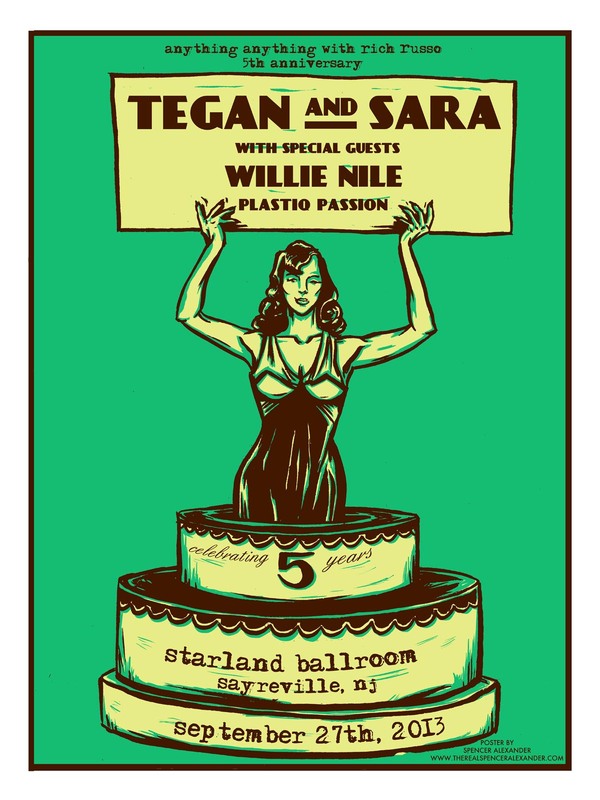 For my big anniversary show on 9/27 at Starland Ballroom, we’re going to have very cool silkscreen posters available, two different designs, each a limited edition run of 100. The artwork is by Spencer Alexander and the printing was done at Fleaheart in Greenpoint, Brooklyn. I’m doing a limited presale on these, you can buy them now and pick them up after the show already in a tube with your name on it, or if you aren’t going to be at the show and want one, it can be shipped as well. A true music aficionado and collector, Rich Russo boasts a collection of vinyl and CDs estimated to have reached an astonishing 100,000 pieces.